Last week was just one of those stressful, hectic weeks. It’s not that anything was particularly difficult, we just had a lot of small things to do around the house. I’m still really learning how much effort it is to maintain a house. Plus, we gave Sura a bath last week and whenever she gets a bath, I think it makes her shed 10x more! So, I ended up having to do more frequent vacuuming on, top of everything else, just to prevent the fur tumble weeds from taking over the house! Naturally, I started to crave something sweet to get me through the long days but I really didn’t have the energy for some serious baking. 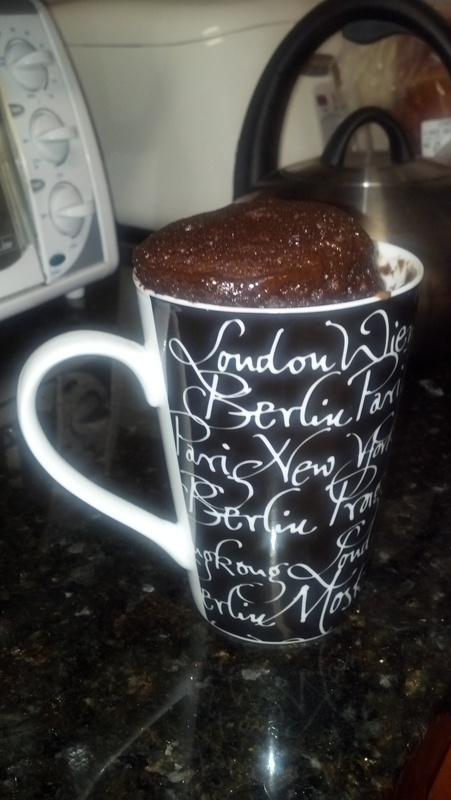 Thank you livelovepasta for saving me with this quick, easy, and tasty nutella mug cake recipe! Mix well with a fork until smooth. Microwave on high for 1½– 3 minutes. I started it at 1 minute and monitored it as I kept adding 30 seconds. I took it out after a little under 2 minutes. Delicious! This is so simple! 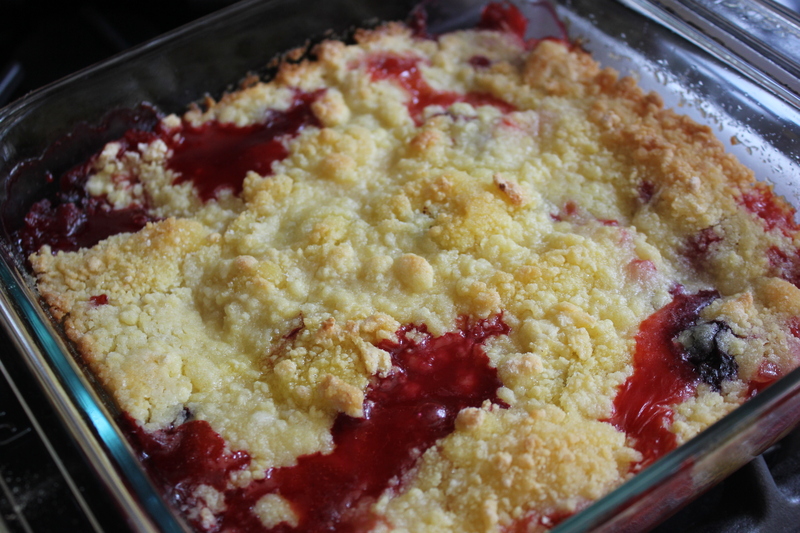 I’ve decided it will take some serious self-control not to make this every day! Really, anything with nutella is good but a nutella cake in under 5 minutes…can’t beat that! I was craving something sweet the other day but only had a limited number of ingredients. So after some experimenting and searching online, I came up with this concoction. 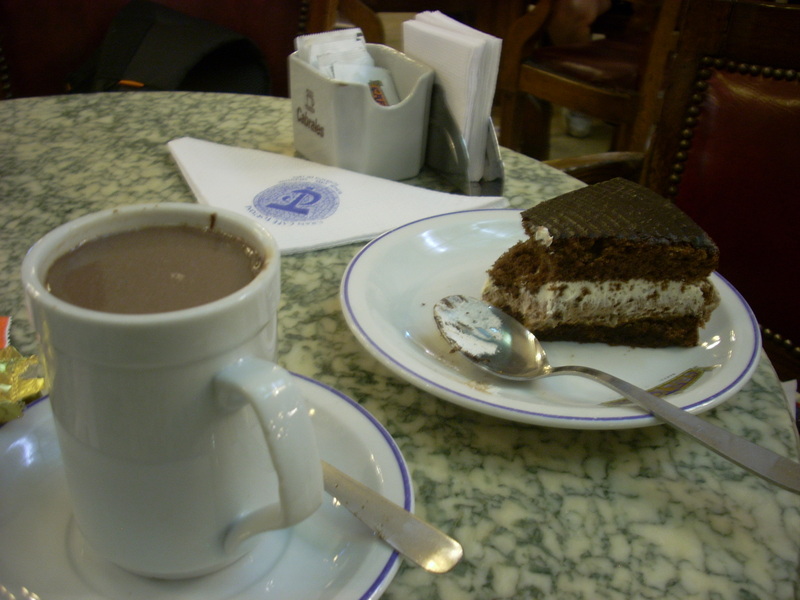 It definitely satisfies those moments when you need a sweet fix! I was trying to brainstorm ideas for a dessert to bring to a party. I had a bag of peanut butter pieces and wanted to somehow incorporate these into the dessert. 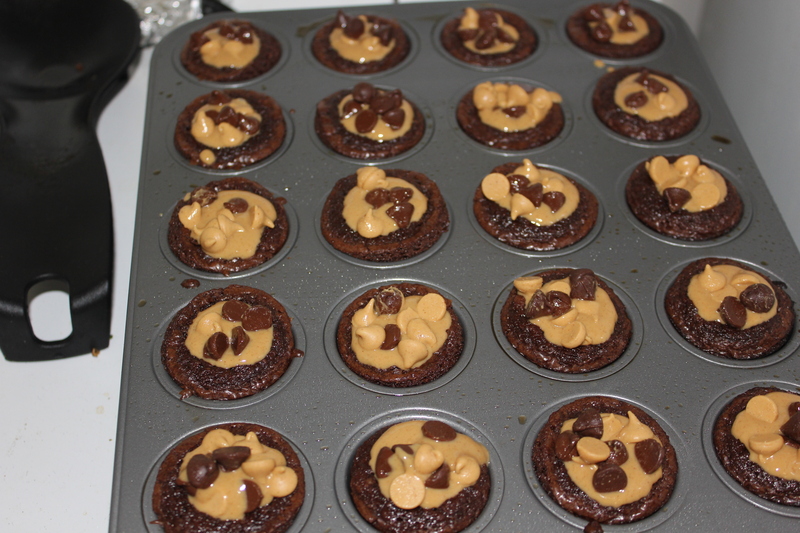 After searching around, I finally decided on mini peanut butter brownies. I think any dessert in mini form is perfect for a party and who doesn’t like chocolate/peanut butter combo?! Prepare boxed brownie mix as directed. Spoon batter evenly into muffin cups (about 1 heaping teaspoon). Bake for 13-15 minutes or until top is set and a toothpick inserted into center comes out slightly wet. After brownies are out of the oven, wait for centers to fall. This will happen upon cooling. If not then tap the centers with the back of a teaspoon to make a hole for the peanut butter. While brownies are still warm spoon about half a teaspoon of peanut butter into the center of each brownie. Top with semi-sweet chocolate chips and peanut butter chips. Cool completely in pan. Hope everyone had a nice Valentines Day! Eric and I decided to make a special dinner at home. This time Eric was in charge of dinner and I did dessert. 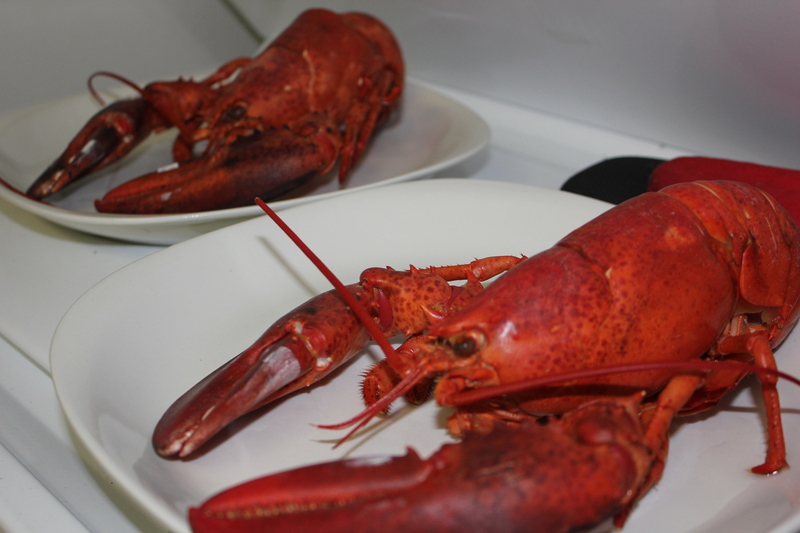 I was very surprised when Eric came home with 2 fresh lobsters. 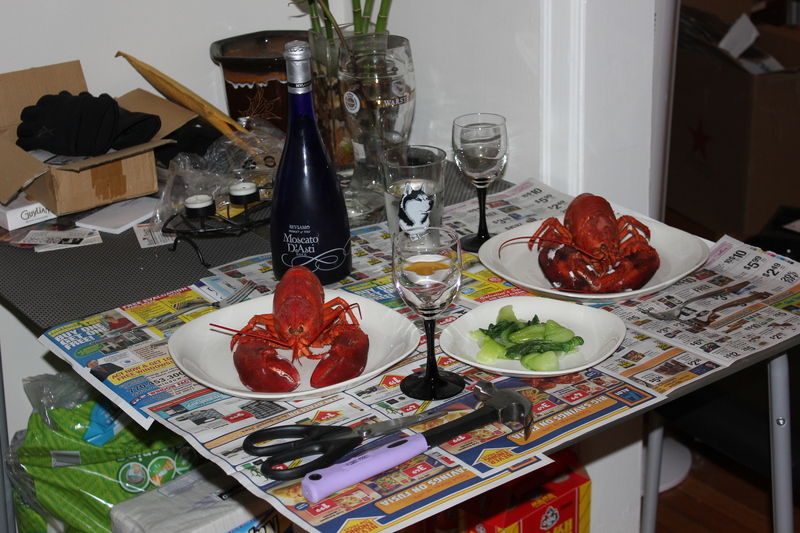 I don’t think he has ever prepared lobster before but he did an amazing job. I’m one lucky girl! For dessert I wanted to make something a little different. I have been going a little crazy with baking desserts which isn’t really helping the whole “get healthier” plan I am trying to tackle. So, I saw on another site bite size banana splits. It is the perfect recipe for having something sweet without eating an entire banana split. 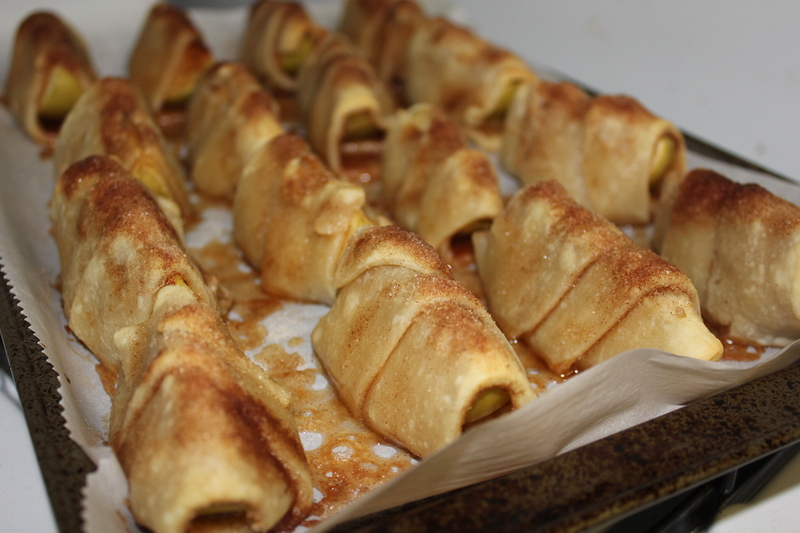 My bite size splits didn’t turn out as pretty (so I do not have a picture) as the original picture but it tasted delicious! 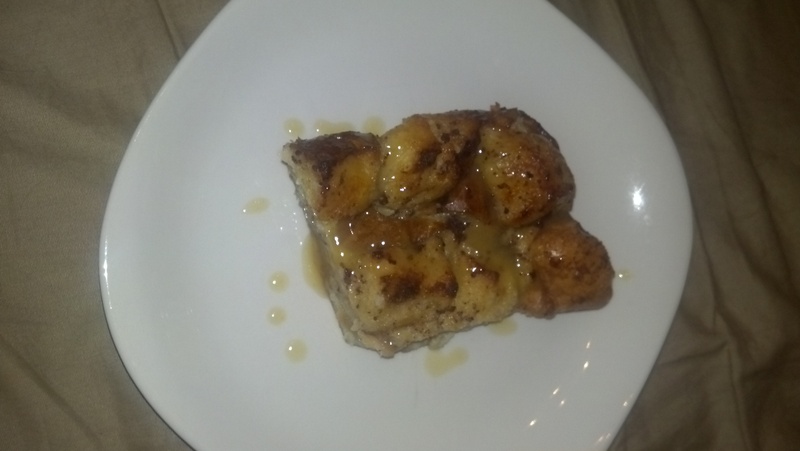 I needed something to satisfy my sweet tooth and as soon as I saw the extra french bread loaves sitting on our kitchen counter, I knew exactly what to make…french bread pudding! 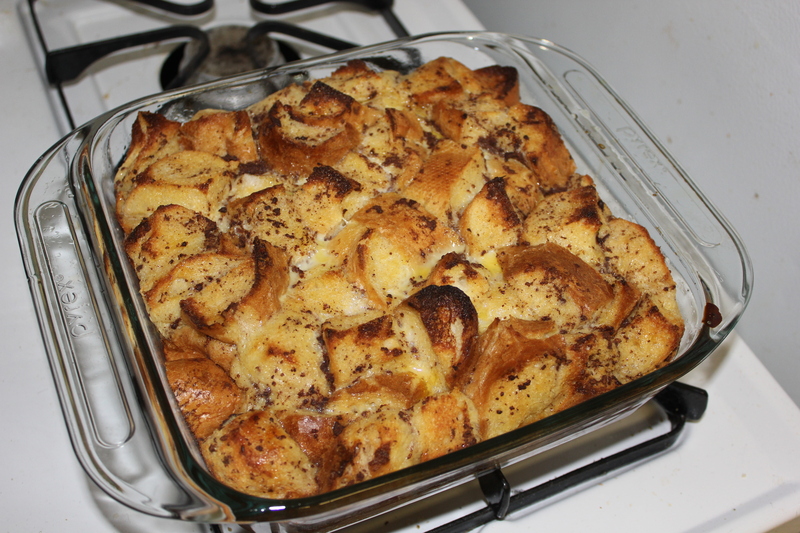 Making bread pudding is pretty easy and it is the perfect way to use 1-2 day old bread. Eric has his stash bourbon, so I decided to use some for a tasty sauce. 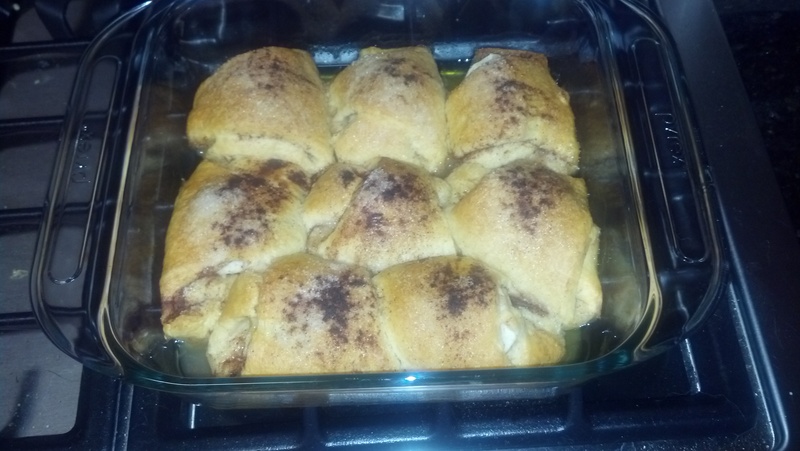 In a medium mixing bowl, combine eggs, milk, sugar, cinnamon, and vanilla. Beat until well mixed. Pour over bread, until bread is covered and soaking up the egg mixture. 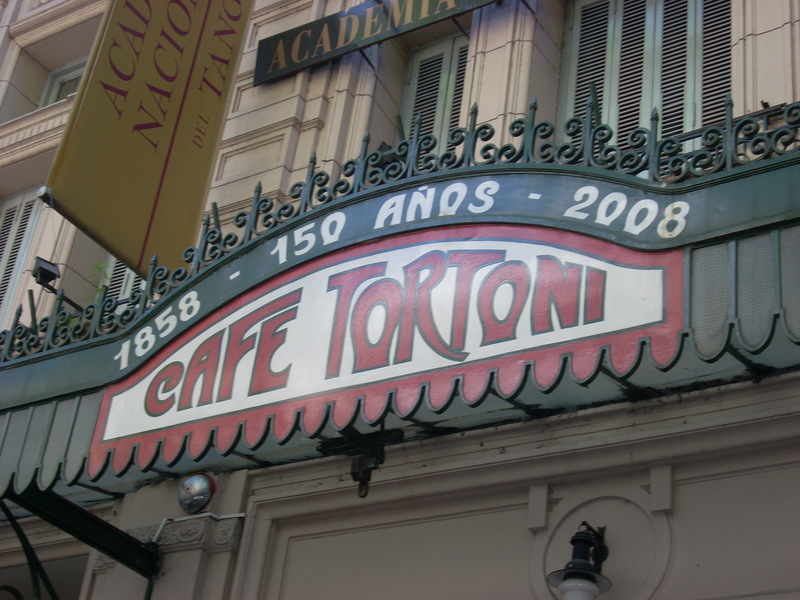 There was much more in Buenos Aires to discover beyond its historical sites. This was the place where Tango was created so we visited the neighborhood where it started. Apparently it began as a dance between the men and prostitutes. It soon evolved to acrobat-like steps shown in tango shows today. Luckily we had the opportunity to catch a tango class and show! We went to the Tango Porteno theater where we arrived early for the tango class, followed by dinner, and eventually the show. It was amazing to see how the dance has evolved and the skill it involves. The dinner was great and included unlimited glasses of local Malbec wine. Perfect! Steaks of course were a real treat! Not only were the steaks grass-fed straight from the ranch, it was also really inexpensive. On average we were spending about $15-20 for ~30 oz of fantastic cut meat. We visited a well known steakhouse, La Cabana Las Lilas (not the cheapest by local comparison) and had amazing food with a view of the port. This steak made for a great start to a lot of red meat throughout the trip…. The wedding we attended had a unique spin…breakfast for dinner. I remember doing research on wedding menus and seeing potential brunch options for early weddings but it never occurred to me to serve breakfast for dinner in a wedding reception. Eric and I sometimes make waffles for dinner when we are out of food or just want something different and easy. Dinner at the wedding was served ~5:30-6pm and opened with the made to order omelette bar. Other stations included a waffle station, fruits, pastries, breakfast meats, and hash browns. This was definitely different compared to the weddings we attended and it was a real hit with the guests. It seems a lot of people enjoy having breakfast. The bar also offered unlimited mimosas (along with other beverages) to go with everyone’s meal. 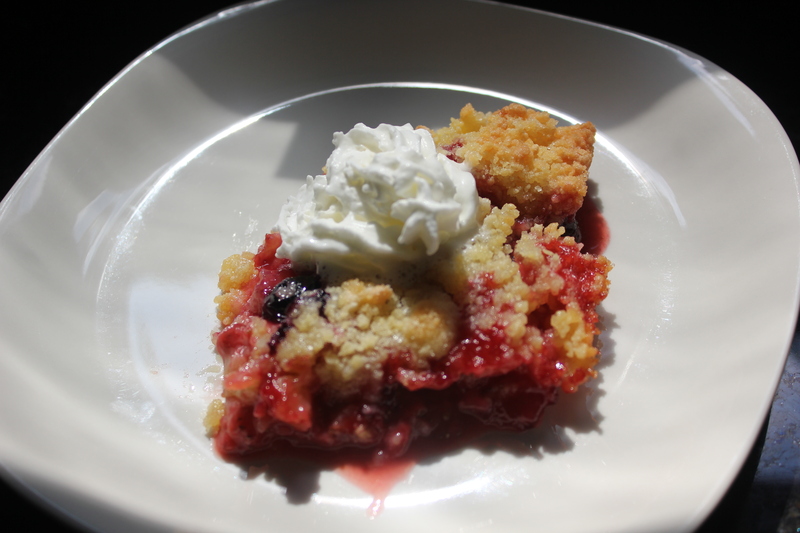 Now for the best part…Dessert! It was donut heaven. 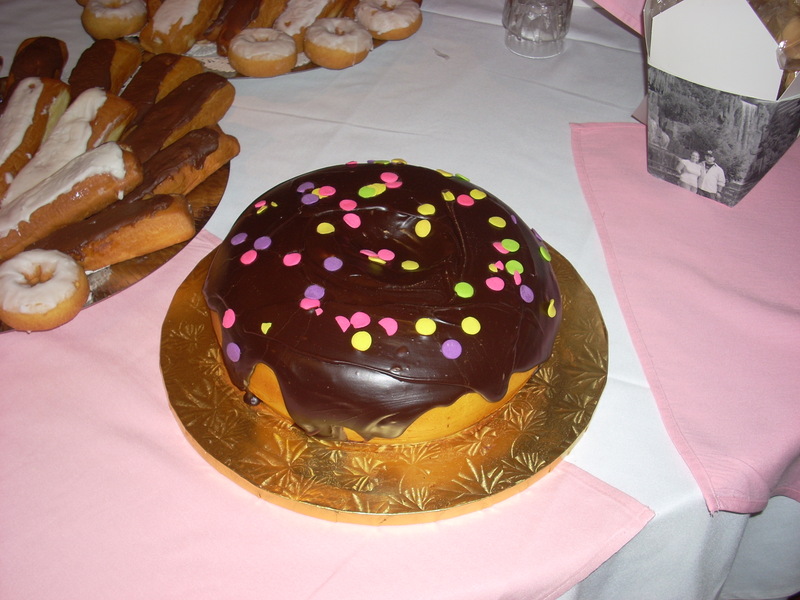 There was a mixture of eclairs, glazed donuts, filled donuts, and even a large on to cut into. I could smell all the sugars standing taking the pictures. I know, it has been a few months since the wedding but I wanted to write a little review on each of the vendors that we used in our wedding. I found other blogs and sites so helpful in my planning process so hopefully I can contribute a little based on my own experience. We really wanted a place to share the sites of Atlanta and show why we love the city. We did it outdoors in the Garden tent area. They have outdoor AC for the summer but we really lucked out that it was cooler (by July standards) and only in the 80s. Any warmer and the AC wouldn’t be enough to keep it cool out there. We had raving reviews from our guests about the food and drinks. Park Tavern wasn’t the cheapest option but they knew what they were doing and everything was taken care of! I actually wanted someone to just coordinate the day of the wedding. Since I already chose most of the vendors and worked out the big contracts, Bailey made sure everything went according to plan. She took my ideas and made them a reality. Our wedding was all that I wanted because of her patience, organization, and creativity. I also had Bailey put together all of our flowers and flower centerpieces. They were elegant and simple. We even did trials beforehand to make sure we had the right idea for all the flower designs. Having BASH do both the planning and flowers made it a little easier with one less vendor. Jamie takes beautiful pictures. I love all of my wedding photos. I also liked his experience with several multi-cultural weddings. He blended in all day and caught all of the special moments. He is a great photographer and will definitely keep him in mind for any future events! We questioned having a videographer but were very happy we ended up having one. We used the footage to share with guests who were not able to attend. We also shared the film with family that were there and just wanted to re-watch the events. It was one of the best decisions we made in our wedding. I highly recommend a videographer for any wedding. I thought this was a fun idea. Plus, it was the same cost as a 6-8 person limo but could ~30 people. That was a deal. Everyone really liked the trolley idea and it was comfortable to ride around. We were even able to bring food and drinks onboard. 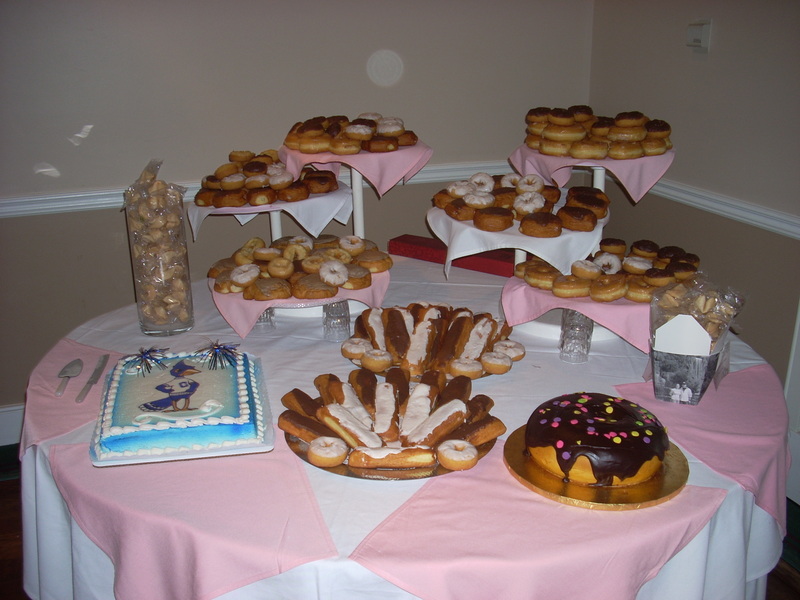 We had a mixture of desserts at our wedding. Sarandipity Sweets baked our cake pops. 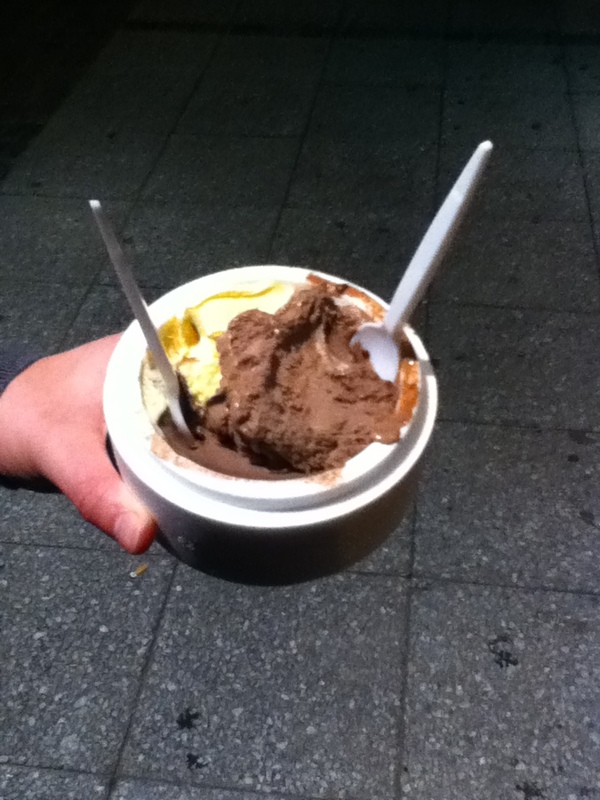 We had 5 different flavors and they were all amazing! 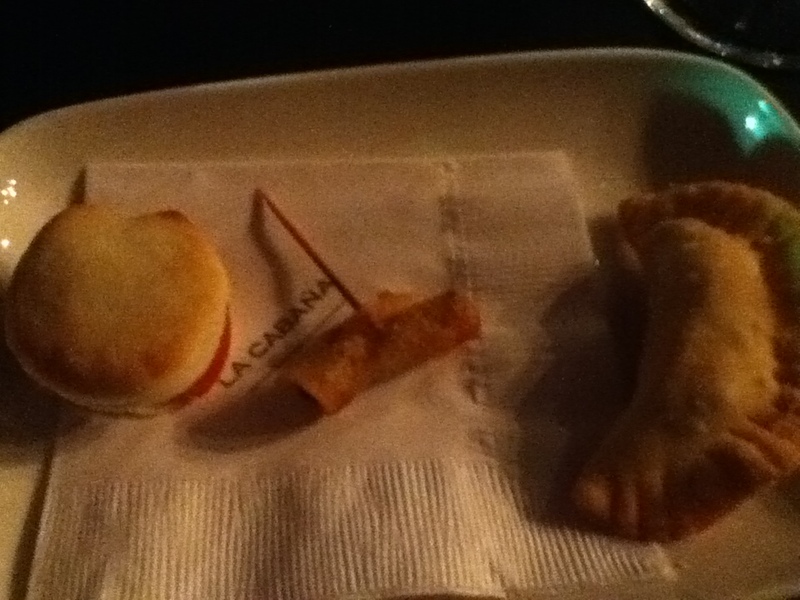 Our guests loved these. Rhodes Bakery made our “cutting” cake. It was a pound cake with chocolate buttercream. 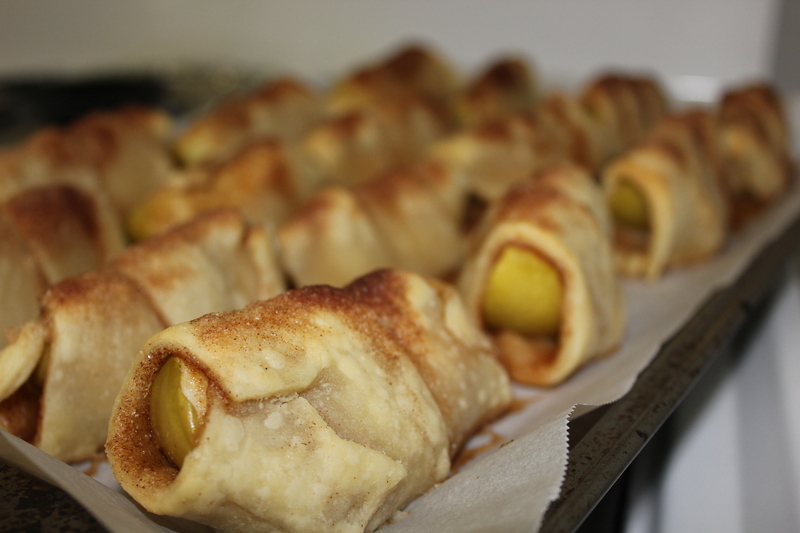 Finally our friend Laura baked our 4 favorite miniature desserts. Delicious! This was a DJ company that we found at a wedding show. I actually got a deal with them from attending the bridal show (another tip for other brides). Our DJ was good and kept our guests entertained. They didn’t have some of the songs that we wanted for our dances but were able to accommodate them if we brought a CD so it worked out.